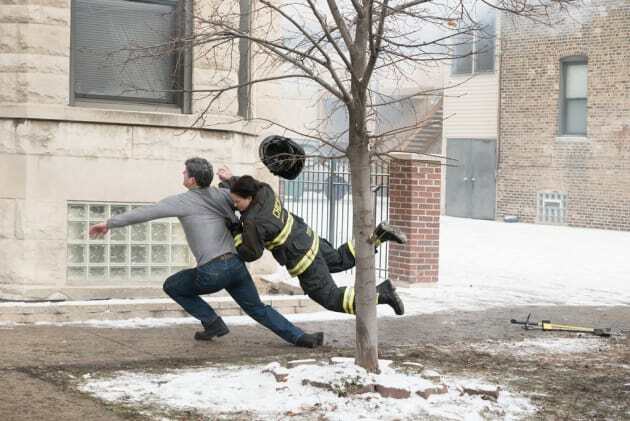 Here's our first look of new firefighter Stella Kidd in action! We have no idea why she's tackling this guy, but let's hope it is for a good reason. We're pretty sure his foot is not supposed to bend like that. Ouch!